Harmony is created in a tropical bungalow designed with a romantic canopy bed, canary yellow pillows and unique pieces handcrafted by local artisans. A spacious pool deck overlooks Flamands Bay. ABOVE: The luxurious Master Villa offers a breathtaking sea view from a 32-foot-long pool and an intimate covered lounge area outﬁﬁ tted with comfortable rattan furnishings. 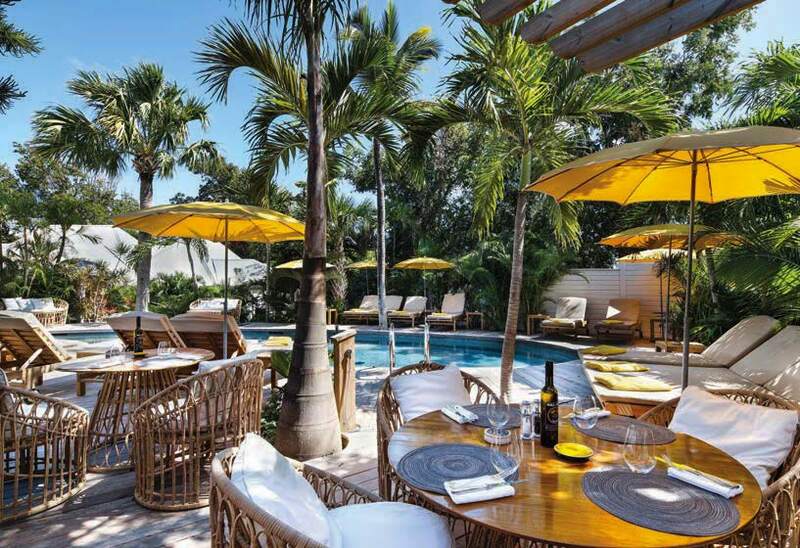 BELOW: Guests can enjoy a beverage poolside on shaded chaise lounges, or a lunch of local fare such as grilled ﬁﬁ sh and colorful salads at a table set amid a garden alcove. 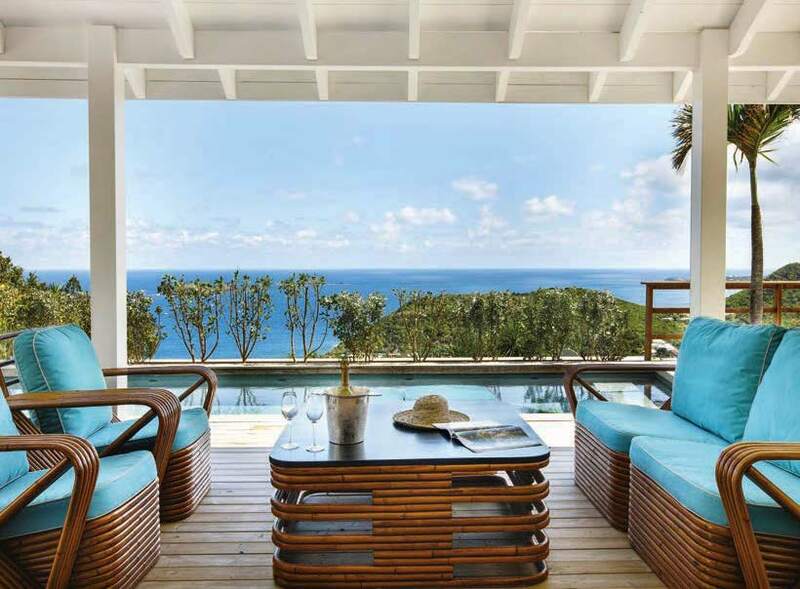 ESCAPE TO THE ISLAND OF ST. BARTHS IN THE FRENCH WEST INDIES, where the newly reopened Villa Marie Saint-Barth, an intimate boutique hotel high in the hills above Colombier overlooking spectacular Flamands Bay, exudes a feel of relaxed sophistication and casual elegance. Tropical gardens with banana trees and giant palm fronds form a stunning natural backdrop for the hotel&apos;s 18 bungalows and villas that enjoy breathtaking views of an expansive white sand beach and azure waters from spacious private verandas. 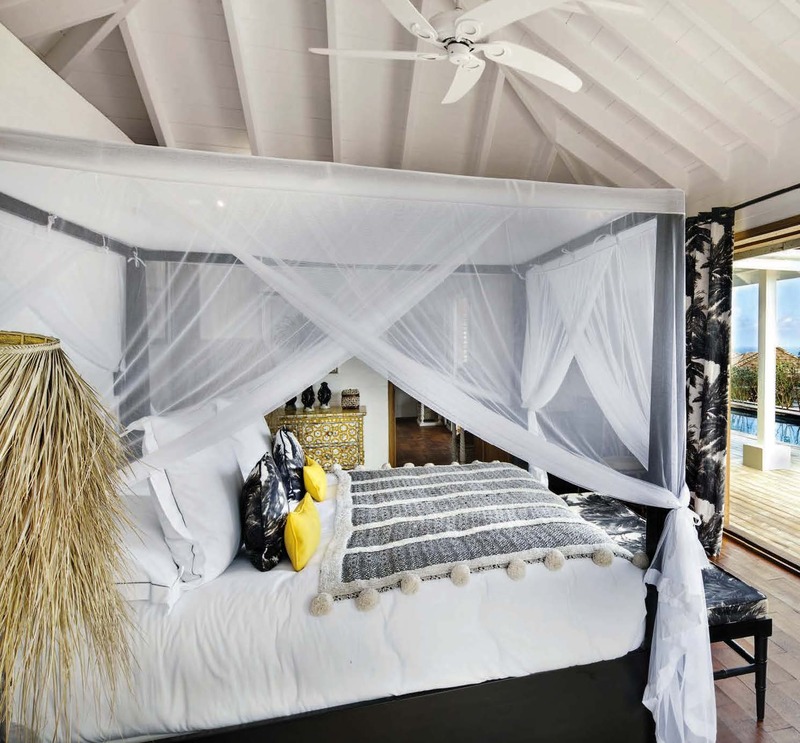 Inspired by British West Indies and Caribbean style in designer fabrics and custom furnishings, guests are welcomed to unique spaces accented with a colonial, bohemian or French art de vivre spirit. Enjoy sumptuous French cuisine at renowned restaurant François Plantation or rejuvenate with a soothing Jasmine or Himalayan Rose treatment at the Pure Altitude Spa. For additional information, call 800/490-0271 or visit saint-barth.villamarie.fr.